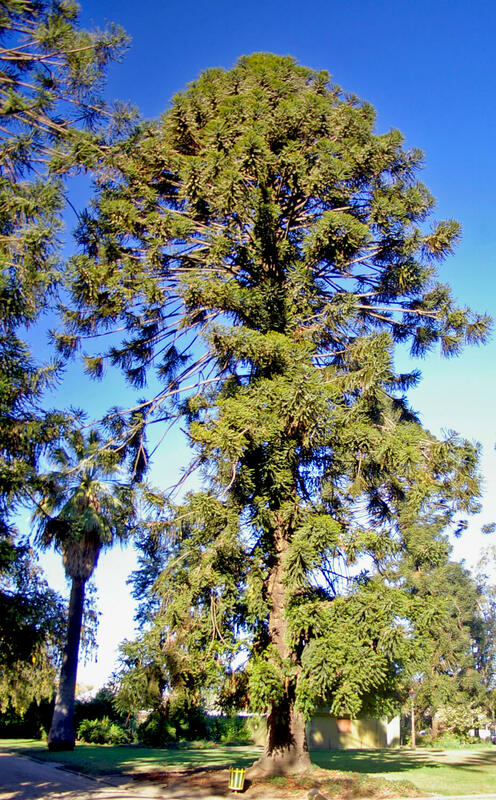 Fossils of the extinct conifer Araucaria mirabilis have been found in Argentina. As a result of the trees being buried in ash from volcanic eruptions, cones and entire trunks were preserved. There were great forests of Araucaria during the Jurassic, and individual specimens could grow to heights of up to 100 metres. The lofty Araucaria trees may have been the most important source of food for the giant long-necked dinosaurs. Fossilized cones from Araucaria mirabilis. Araucaria mirabilis is now extinct, but some ten close relatives still live in Australia and South America. 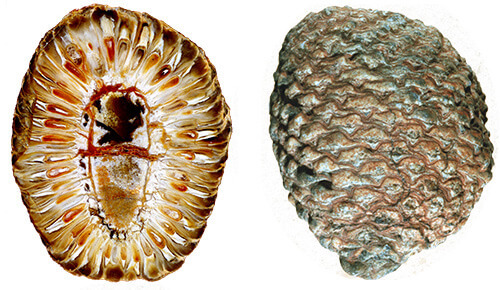 Today’s Araucaria species are so similar to their fossilized ancestors that they may be regarded as living fossils. The main difference is that present-day Araucaria trees have much bigger seeds. Bunya Pine, Araucaria bidwillii, is so similar to the extinct Araucaria mirabilis, it may be regarded a living fossil. 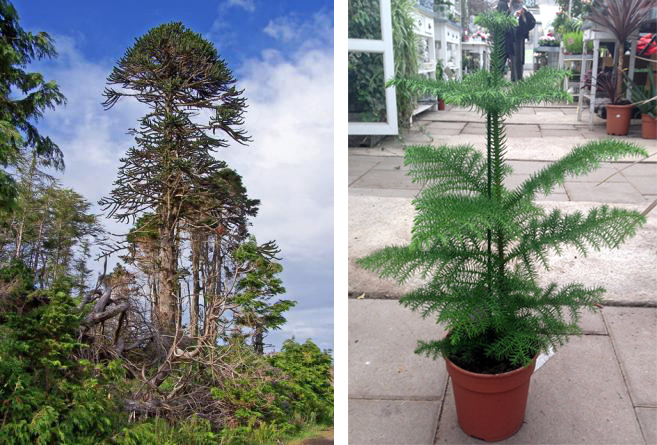 Two other modern species of the genus Araucaria are the monkey puzzle tree and the Norfolk Island pine. Monkey puzzle tree, Araucaria araucana, and the pot plant Norfolk Island pine, Araucaria heterophylla.